SEO or Search Engine Optimization is a set of strategies used for enhancing online presence of your business. Wikipedia defines SEO as the process of improving the visibility of a website or a web page in search engines’. A website is developed with the aim of attracting more and more visitors. Creating a website and launching it online is not enough to attract customers. It requires constant to brand your website and grab quality traffic. Nowadays, search engine optimization is an essential element of growth strategy of online businesses. It is a complex battlefield where you need to play strategically. It is both an art as well as a science. It is not an overnight magic, but requires constant effort and patience. Organizations hire professional consultants for improving the ranking of their websites. However, there are 7 Powerful SEO Tips that you can use to enhance web presence of your site without any external help. • Make sure that your website provides accurate, relevant and helpful information. • Be brief and to the point. • Content should be interesting and interactive. • Make it readable by using short paragraphs and bulleted lists. After content, the second most important SEO tip is right usage of keywords. Keywords are those specific words or phrases that people use to search in search engines. When it comes to keywords, the major challenge is selection of competitive keywords. There are various tools, both free and paid, that can be used for searching keywords. • Choose keywords with low or medium competition. • Do not do keyword stuffing, use them naturally. Link building is a very important SEO tip used for generating good SEO results. Backlinks are links that are received by one web page from another webpage. Backlinks direct users from one website to another website. The number of backlinks specifies website popularity. • Create relevant and quality backlinks. • Use URL or meaningful text in anchor text. Here we are talking about tags used in a web page. The tags include title tag, Meta tags, header tags and description tags. 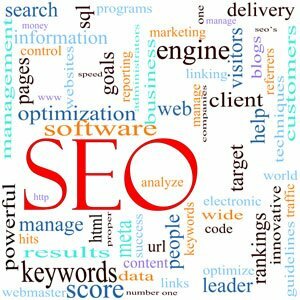 All these tags are very important in search engine optimization. These are used by Google crawler to check the relevancy of website. • Title tag should be unique and contain the most important keyword. • Header tags should also contain keywords. • Use keyword rich description in description tag. • Title tag should not exceed 70 characters and description tag should not exceed 160 characters. Do not forget to optimize images with alt tags. Alt tag is basically description of an image. Without alt tag, search engine spiders cannot index the images and you may lose a significant traffic that would have been attracted via indexed images. Google loves interlinked pages. Interlinking is simply linking different pages of your websites via particular keywords. For example if one of your blog posts contains the word “SEO” or “search engine optimization, you can link it to the SEO services page of your website. • Interlinking enables search engine spiders to crawl deep into the blog and enhance ranking. • Interlinking increases understanding of the subject. • Interlinking increases page views and reduces bounce rates. Exploit the power of Social Media to optimize your website. There are number of social media websites such as Facebook, Twitter, Stumbleupon, Digg and many others where you can share your content to increase the page views and enhance the page rank. • Share your website links on social media websites. • Use social media to interact with customers. Although, search engine optimization is much more than this, these are just few SEO tips that can be used by beginners to better accomplish the SEO. As an ending note, I would suggest only two things i.e. constant effort and patience. Follow these SEO tips, keep up your efforts and wait patiently. Soon you will see your website on top positions on Google, Bing and yahoo.